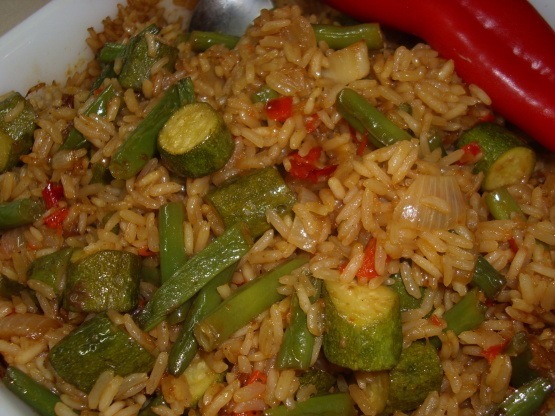 This rice dish can be served as a main course or as a side dish. The recipe can be made “meatless” by exchanging vegetable broth for the chicken broth. You can also add diced chicken if you are looking to make this dish more substantial.